Lex Artifex LLP Launches Legal Due Diligence Helpdesk in Nigeria - Law Firm in Nigeria - Lawyers in Nigeria. Lex Artifex LLP., a firm specializing in international commercial law has announced the launch of its Legal Due Diligence Helpdesk (“LDDH”). The launch of LDDH follows the need for smooth, seamless, hassle-free, and scam free trade to and from Nigeria. 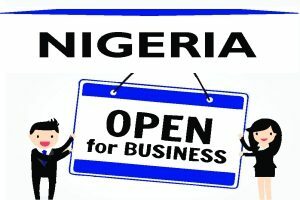 Nigeria is the largest economy in Africa and an emerging hub for transborder trade in goods and services. “We have launched the Legal Due Diligence Helpdesk to help international and Nigerian clients on sales contracts, maritime contracts, shipping, customs, intellectual property, banking, exports & imports, and real estate transactions,” said Mr. EdoAbasi Udo, chairman, Lex Artifex LLP. Lex Artifex LLP is the magnet for overseas companies and international merchants looking to avoid legal liabilities and business risks when transacting business to and from Nigeria. “Lex Artifex LLP is the magnet for overseas companies and international merchants looking to avoid legal liabilities and business risks when transacting business to and from Nigeria. We provide professional guidance on cross-border trade, government regulations, government licensing, foreign exchange, legal compliance, vetting of Letter of Credit, vetting of commercial documents, standardization, company investigation, and real estate investigation”, said EdoAbasi Udo. Paying attention to every detail and delivering top-tier, highly skilled, discreet, timely and precise reports to clients, the Lex Artifex LLP Law Firm comprises a team of smart, hardworking and urbane lawyers with detailed knowledge and passion in bringing clients the best and cost-efficient legal due diligence services in Nigeria. International businessmen and transnational companies considering trade and investment in Nigeria are encouraged to visit the Lex Artifex LLP’s website at http://lexartifexllp.com; call +234.803.979.5959, or fill out the appropriate contact form on the firm’s website. The lawyers are proficient in the English language and work with non-English speaking clients through interpreters and language translators. 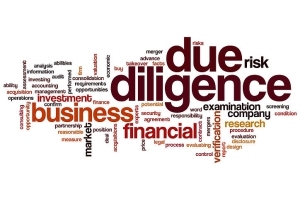 To learn more about the Legal Due Diligence Helpdesk of the Lex Artifex LLP Law Firm, please email: lexartifexllp@lexartifexllp.com.